One of the most interesting and unique rides to hit the amusement park market over recent years has to be the Le Bar car ride. 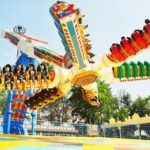 In this guide, we’re going to highlight some of the reasons why this ride has become such a hit, and we will also tell you everything you need to know about buying the Le Bar car ride for your amusement park. Bearing this in mind, let’s get straight to the facts you’re seeking. First of all, this ride certainly appears peculiar to someone who has never seen one before. In general, the ride consists of two chairs which look similar to deck chairs, only they’re far more comfortable! 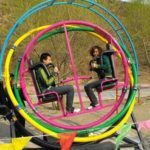 Either side of the chair you抣l find two large wheels which rotate based on the input given by the instructions from the joystick at the center of the ride. Even though these rides can only hold two people, there’s nothing stopping you from buying multiple cars, just as long as you have enough space for them to maneuver around comfortably. 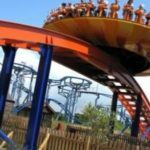 Additionally, it’s important to keep in mind that most of these rides have a weight restriction of around 150 kg with the two people combined ?making it best suited for young adults or people of a slender build. Interestingly, these rights can last for quite some time on a single charge, and is not uncommon for the ride to have a working time of anywhere between 8 and 9 hours per charge. 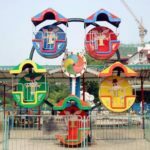 Of course, the rides also come with a variety of colorful designs, especially when it comes to the external wheels. In many cases, these rides will feature neon lights or even colorful cartoon characters. 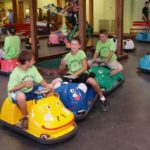 In fact, there’s a few well-known Mickey Mouse designed cars, as well as Hello Kitty ?so there’s plenty of intrigue to get the kids involved as well. 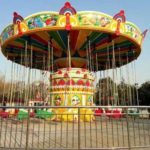 It’s also worth noting that this ride can be a popular addition to virtually any amusement park ?but it’s equally suitable for smaller parks or even indoor entertainment centers. 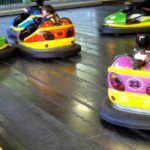 What’s more, the rides can be used by people of any age, so even adults or the older generation can have a great deal of fun riding around in these cars. Now that you know what these rides are all about, where’s the best place to purchase them? 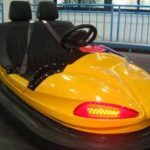 You’ll often find these car rides from your standard amusement park supplier, but you can also purchase them directly from the manufacturers on the internet. Many of these rides are built in Asia, with the vast majority of them being created in China. Of course, it’s relatively easy nowadays to directly import one of these rides from websites which specialize in exporting them to Western countries from China. 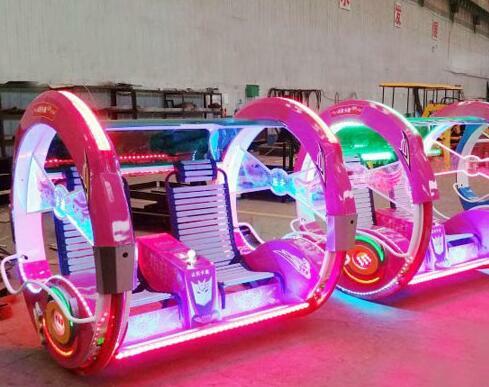 Overall, the Le Bar car ride is one of the most unique and interesting rides you are ever likely to see, and while the design is relatively new, they’re really catching on fast ?so it’s safe to say they will be a fantastic addition to virtually any amusement park or entertainment center.